Everybody could use a lovely, soft sweater to wear on crisp autumn days or under the coat later in the season, when the weather turns cold. The thought of a long walk along the beaches and the lovely nature at the northern tip of Denmark inspired designer Rachel Søgaard to combine three of Filcolanas softest yarns in the shades of a sandy beach for this design. 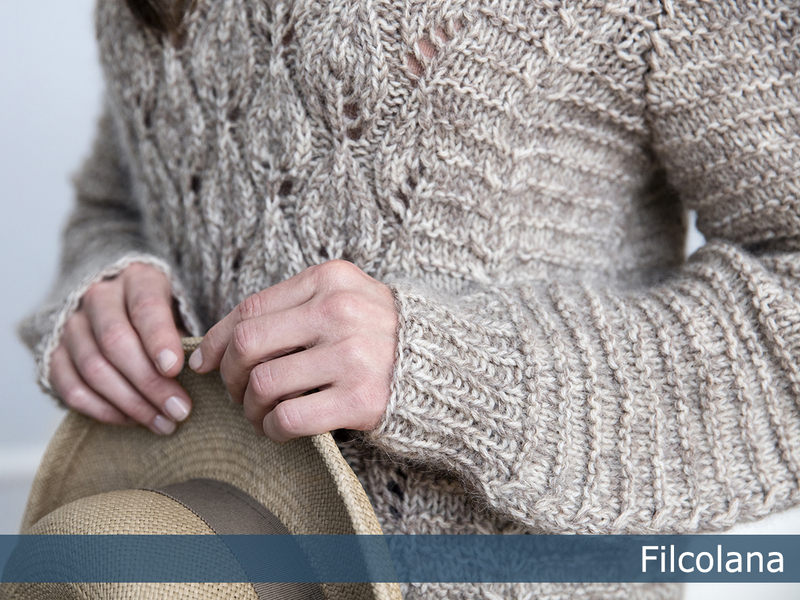 ”Sandstrand” is part of Filcolana’s ”Colours of the Scandinavian Summer” collection. For this collection our team of designers have found inspiration in the incredible Scandinavian light and colours in the works of the Skagen Painters.